Lucy Silchester has received an appointment card. Actually, she's been invited along a few times to this appointment, but she keeps brushing the gold-embossed envelope under the shag pile carpet. She's taken her eye off the ball and has busied herself with work (a job she doesn't love), helping out friends, fixing her car, feeding her cat, seeing her family, and devoting her time to their life dramas. 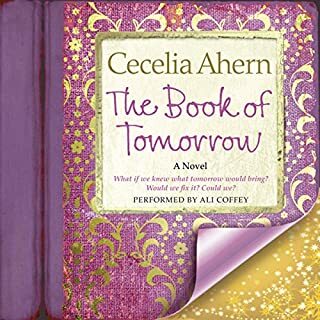 This witty, clever and charming book was the first one I have read by Cecelia Ahern. Intrigued by the premise of Life calling a meeting with Lucy, I kept wondering what would happen. How would an author create a character such as Life? Enjoyed it thoroughly all the way through! As a bonus, the narration by Amy Creighton was superb. She captured the essence of Lucy and the cast of characters. I look forward to "reading" more audio books by this duo! 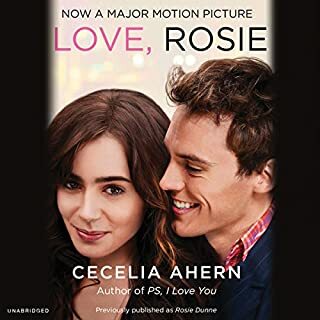 Where does The Time of My Life rank among all the audiobooks you’ve listened to so far? This is the best book I have "read" in years! I already loved this author but this is some of her best work. 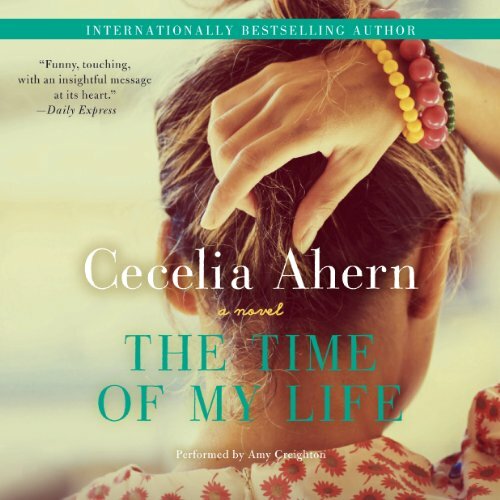 What other book might you compare The Time of My Life to and why? A grown up Nanny McPhee story with the grip of adult's struggles and stressors. Which character – as performed by Amy Creighton – was your favorite? The reading was overall excellent. Who was the most memorable character of The Time of My Life and why? The character of life is so interesting. It could be explored as its own character more. Make this a movie! I will pre order a ticket now!!! Either way, this book is a goddamn delight and you WILL love it. 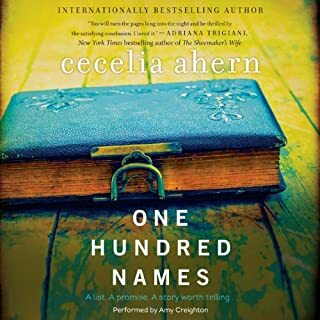 Cecelia Ahern never fails to give the readers entertainment and a life lesson. I recommend any book by her they are all fantastic! The Time of My Life might just change your life. This book came into my life at the perfect moment. Though it is far from being a self help book, I found it so thought provoking that it's really put MY LIFE and my relationship to it into a whole new perspective. Not much has been good in Lucy's life for the past 3 years. A shocking emotional blow leaves her devastated and unable to cope. To try to get through it, she tells one lie. Which leads to another. And another and another until her entire life us basically one giant lie. Thanks, Life shows up. Lucy's world has to be turned upside down to ever get it put right again. The Time of My Life is everything I love in a book. It has heart and depth and humor and romance, plenty of fun and a few tears. 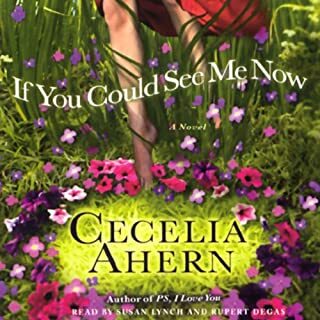 Cecelia Ahearn has woven a tale full of vibrant characters in a compelling story of love lost and redemption. Amy Creighton is once again the perfect reader and she makes Lucy and all those in her life come alive. Fantastic read. Highly, highly recommend. Narration was lively and special to the story. look forward to reading more by the author. This story was hilarious, and the main character Lucy reminded me a little of myself. What a different concept for a story line as well. It gets you to think. I love the chemistry of the characters in the book,and the wit is hilarious. The only qualm was on occasion it was difficult to tell who was speaking what dialogue since the narrator didn't distinguish enough the characters voices. But I loved the voice, tone and inflection she had while reading. I would listen to more books she narrated. Very glad to have listened listened to this book! 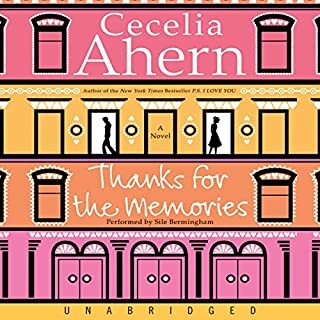 The main character's life was annoyingly in disarray, which made her a bit hard to relate to at times, but Ahern's signature mixture of strangeness and heartwarming humor made this a really enjoyable read nonetheless. Ahern always has interesting premises in her books, and this was one of the most creative ones she's come up with. I read this book a couple of months ago, and I still find myself thinking about it on a weekly basis. It really sticks with you. 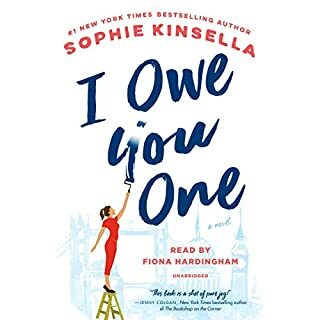 The narrator is amazing, but I may be a bit biased because I love Irish accents.